Frozen pipes are a risk during the winters in Ohio, but they can still happen despite your best prevention efforts. If winter comes early or you forget to “winterize” parts of your plumbing system, you can encounter a frozen pipe once the freezing temperatures begin. However, knowing what to do when your pipes freeze will help you lessen the effect on your home or business. You might not even know your pipes have frozen until you try to use your sink or other faucet. If your sink only produces a small trickle, or if nothing comes out at all, it’s a telltale sign that your pipes are frozen. The frozen area acts as a plug and prevents water from flowing freely through your pipe. If the frozen area has occurred in an exposed pipe like those underneath your sink or in the garage or basement, you may also notice frost on the outside of the pipe or a bulge near the affected area. Trying to thaw your pipes yourself can result in additional damage to your pipes or your property. Frozen pipes are a delicate situation that should be best handled by a professional. If possible, turn off the water to the affected fixture to avoid rupturing. Your pipe could have already suffered a crack or other damage as a result of the expanding water, so contact DrainMaster Ohio to thaw your pipes professionally. Our skilled technicians will thaw your frozen pipes and identify any areas of damage. We offer a range of pipe repair and replacement procedures and can help you put together a plan to winterize your house to avoid problems in the future. Thawing your frozen pipes is a job best left to the professionals at DrainMaster. Improper thawing can damage your pipes and the use of an open flame can cause injuries or fire in your home or business. We’ve been serving Ohio for over twenty years, so don’t look any further than DrainMaster for your frozen pipes. While having trees in your yard improve its curb appeal and atmosphere, their roots may pose a risk to your home’s plumbing. Tree roots are powerful enough to penetrate sewer lines in search of water, resulting in clogs and drain issues. Drain Master Ohio recommends that you take preventive measures to protect your property if you have trees. One way to prevent these root from encroaching on your pipes, whether you’re in Columbus or Cincinnati, is to create a root barrier. This requires some manual labor as you will need to dig down to your pipeline’s location. Then you can cut through any roots that are in close proximity to your line. It is also possible to bury a wood or metal barrier six to twelve inches deep. These can be placed between the tree and your sewer system, at least three to five feet from your home. These can help prevent the roots from reaching your home. If you plan on landscaping and would like to plant a few trees, pick ones that are slow growing. Oak or sugar maple trees generally take more time to develop long roots than the willows or elm trees, which have roots that travel deep underground. Oak tree also has roots that grow horizontally, rather than vertically. Taking the size of your yard into account can also help you decide if the trees might be planted too close to your home. This could increase the risk of root invasion. Tree roots can also grow two to three times longer than the size of the tree, so they should not be planted close to your home. Should a tree be growing close to your home and is already causing damage, it may be a good option to have it professionally removed. Allowing it to continue to grow could cause greater damage to your home, pipe systems, and foundation. If you have any additional questions about tree root prevention or the sign of root invasion, please give us a call. Our Ohio staff is waiting to discuss your pipeline issues and help you determine the best solution for your property. Your home or business pipeline system has two types of pipes: pressurized and non-pressurized. Knowing the difference between pressurized and non-pressurized pipe can make help you identify any problems and evaluate what kinds of repairs might be needed. These terms refer to the presence of steady pressure within the pipe, which aid in moving waste or water. Each system has its own operations, which gives you the ability choose an option that best fits your needs. Pressurized pipes create a static pressure when an external stimulus, like flushing, has been generated. Non-pressurized pipe relies on pressure that comes from gravity and the weight of the existing amount of water. Pressurized pipes are generally less invasive to install in your Ohio home and they can also come with a lower cost. However, they do require additional electricity to power its pumps, which help move the liquid through it. These pipes typically do not require deep trenches. They can be buried at 7.5 feet, just enough so that there is no frost impact. Pressurized pipes generally have an unlimited fluid input and output, and can also transport more than one type of liquid. They can also be installed vertically or horizontally, and come with a host of application options. Non-pressurized pipes do not require extra electricity, as they use the current amount of water as well as gravity to move the pipe’s contents. When installed, they generally need to be about ten to twelve feet underground. Because of the simplicity of the system, the homeowner may be able to perform maintenance on the pipes and its system. This also allows for the owner or technician to directly measure information such as fluid amount and flow rate. Both systems have their own functions and virtues. Pressurized pipes need little to no monitoring, but they do require a specialist in the case of a malfunction. Non-pressurized pipes won’t add to your electricity bill because they rely on gravity and water weight to provide pressure. If you have more questions on how these pipes work or are experiencing a pipeline issue, please give us a call. We are always able explain the difference, as well as the pro and cons, of these two different pipes. Whether you live in Dayton or Cleveland, OH, Drain Master is always available to answer your questions. If There’s Water In My Ohio Home’s Yard, What Do I Do? At Drain Master, located in the Ohio state area, we offer a wide variety of pipe repairs, installations, and more. We also offer free inspections and 24/7 emergency services, so if you’re in a pickle, our team is ready to help. Time and time again, you may or may not come across an alarming amount of excessive water in your yard. This may be due to a plumbing leak, heavy rain, or a wide range of factors that are out of your control. The first solution to this problem is to call a qualified professional to help you in this situation. Depending on the reason behind this excessive buildup of water in your yard, our technicians at Drain Master can help you to inspect and determine the reason behind the water in your yard. If it’s a plumbing issue, they provide fast and affordable pipe repairs to quickly solve this problem. Another solution, which is a homemade method, is to self install a drain in your yard to quickly remove any standing water in your yard now and in the foreseeable future. To install a drain, such as a french drain that can effectively drain your yard of any excess water, you first need to dig a small trench where the water is pooling. Next, add a bed of gravel to the bottom of the trench. Then, insert a pipe that can be used as a drain below the layer of gravel so the top of the pipe is covered with gravel. Make sure to leave one or both ends of the pipe open so water can flow into it. Finally, cover the top and sides with more gravel. If that seems difficult to follow, you can always call a professional to install a drain in your yard so you can avoid your yard filling up with water again. If you’re stuck with your yard flooded and don’t know what to do, call Drain Master today so your yard can be drained but your wallet won’t. Your sewer pipes are arguably the most important aspect of your home or business. They are constantly working to take waste away from your property in an effective manner which means that they are susceptible to build-up of debris or clogs that will affect the function of your property. When a home or business owner experiences a clogged sewer pipe, it may be their first thought to run out to a local store, buy a drain cleaner, and take care of the job themselves. While this may seem like a quick and easy solution, it is a temporary fix and will not solve the problem long-term. Sewer pipes come in all different sizes which means that clogs that form within your sewer system can vary in size as well. Symptoms of clogged pipes include slow draining, inability to flush, flooding, and more. If you are experiencing any type of clogged drains, you should call an experienced professional immediately, but especially if the clog is located in a larger sewer pipe. The sewer pipe unclogging process involves a few easy steps that always guarantees safety and no unnecessary damage to property. For the unclogging of larger sewer pipes, hydro jetting is always recommended. Hydro jetting is a trenchless and eco-friendly technology used by the most experienced plumbing professionals. Hydro jetting begins with a single access point being created above the entrance point to the troublesome pipe. When the hole is created, a deflated hose with a special nozzle attached to it is inserted into your pipe. After the hose is securely placed in the pipe a technician will send water through the hose and into your pipe at a high pressure to ensure that the clog is pushed through the sewer pipe and broken up along the way. Hydro jetting does not allow for any damaging waste to leave the drain and solves the problem with agility and speed. It is also a service that can be done several times a year to ensure that home and business owners do not run into clogged drains again and be proactive about their sewer pipe health. DrainMaster Ohio is also available to customers 24/7 with our emergency drain cleaning services. Don’t waste your money trying to solve inconvenient clogs in your sewer pipes, always call a professional to get the job done in an efficient and timely manner! If you live in the Ohio area, DrainMaster Oh is the people to contact if you are in need of repairs, installations, or replacements for water and/or sewer pipes. If you are in possession of a pressurized and/or potable water pipe, you may question how to find a leak in your water pipes if or when a leak may occur. A leak in a pressurized and/or potable water pipe may occur at any time for any reason. Most reasons leaks occur in these water pipes can be due to normal wear and tear of the pipes, as well as any damages to said water pipes. Leaks can also occur after harsh winters where your water pipes may freeze in the cold, ultimately causing damage and leaks to form. You may suspect that your pressurized and/or portable water pipes have a leak when the water discharged from the pipes have a noticeable change in pressure, as well as a wide range of tell-tell signs that your pipes have a leak. You can also tell where there’s a leak in your pressurized and/or potable water pipes by checking faucets that are hooked up to it. By noticing the change in pressure between faucets, you can determine where there may be a leak in your water pipes. Leaks also leave behind a noticeable water mark, especially if the water piping is above ground or somewhere you can see if there’s an excessive amount of water pooling around the pipes, ultimately confirming your suspicions of a suspected leak in your water pipes. The best way to find these water leaks is by contacting a reputable plumbing agency, such DrainMaster Oh if you live in the Ohio area. They offer a free inspection, as well as estimates. These inspections will determine if your water pipes have a leak or not. If you suspect your pressurized or potable water pipes to have a leak and you live in the Ohio state area, contact DrainMaster Oh to have their professional plumbers inspect your water pipes today. When you think of what makes your home or business run effectively on a daily basis, it makes sense that most would think of the people that make up those spaces: family and employees. While those people are essential to how your home or business functions, that only focuses on the exterior of your space. The interior assets that make up your residential or commercial facility are as equally as important as what you see on the surface. Your drainage system gives you the ability to wash clothes, take a shower, flush toilets, and more. These are small examples, but they are things we take for granted every day, until a problem arises. Clogs and waste buildup in your drains are caused by lack of cleaning and understanding that your drains need regular cleaning like your teeth or car. If drains are neglected a variety of problems can occur that will be an inconvenience to your home or business. Cleaning your drains regularly does not have to involve pouring harmful chemicals down them to ensure that the problem will not come back. In fact, liquid chemical drain cleaning solutions are not long-lasting and they are not safe. State-of-the-art trenchless technologies like hydrojetting – a service where high pressure water is pushed through your drain – is environmentally friendly and does not involve the use of harsh chemicals. Regular drain cleanings allow for your pipes to state in their best shape. This gives technicians the opportunity to monitor the health of your drainage system while make sure that you do not have to deal with any pesky drainage issues. Drain cleaning on your own does not allow for you to see what is going on deep down inside of your pipes, which means that if you think you have a problem at the surface, you probably have another problem that you can’t see. 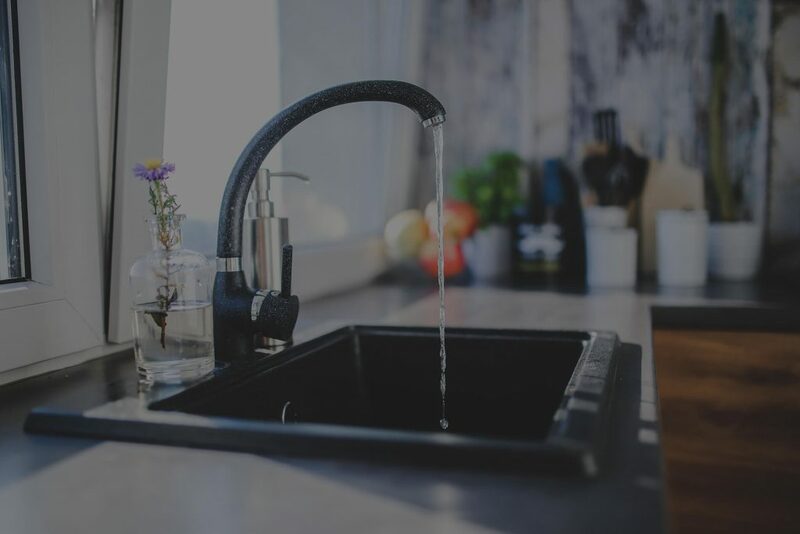 Ignoring these issues will mean a larger problem will arise costing you more money than you would have to pay if you scheduled regular drain cleanings. Regularly scheduled drain cleanings are not an all-day event, especially when trenchless technologies like drain snaking or hydro jetting is being used. These services allow technicians to be in and out of your home or business in a jiff! Drain cleaning on a regular basis ensures that your drains will be reliable for years to come leaving you stress free. Call DrainMaster Ohio today to schedule regular drain cleanings for your home or business! Be proactive about your drain health, you’ll thank yourself later. There are some things that you can do to prevent clogs in your home or business. It’s quite simple and not necessarily difficult, so feel free to call if you have challenges. Who to call? DrainMaster Ohio! We’re local, we’re friendly, and we’re always here for you. Don’t hesitate to call us if you have any issues or need help. Tip 1: Watch what soaps you use when using your sinks, bathrooms, or other drainage areas. If you’re using very oily or bubbly soaps, they could be causing clogs or clumps in your bathrooms or kitchen. It may seem silly, but even small things like changing soaps could help. Also, avoid chemicals in your soaps- inspect your “ingredients” label and compare it to what other natural soaps are made of. If you can find comfortably-budgeted alternatives, go for it. Tip 2: Don’t put food down your kitchen sink drain unless you have a garbage disposal. If you don’t have a garbage disposal, invest in a simple mesh drainer. It’ll help you a ton. Any fats or acids going down your sink can be a huge risk for a big clog, which could cause a break or leak inside your pipes. Avoid that by either getting a mesh drainer or getting a garbage disposal. Tip 3: Get a hair-catcher in your bathrooms. There are several options: most popularly, the TubShroom. It’s a small, harmless tool that goes where your tub plug goes. It catches all hairs, including animal hair, and you can take off the hairs with a paper towel, baby wipes, sanitary wipes, etc. It keeps hairs from being clogged in your bathrooms, which is a huge help! Tip 4: Try to wash any pets outside, if applicable. If you have a very large animal, and you want to bathe him or her inside, please try to avoid it. Their hair- even with a TubShroom- will most likely clog your drains, which can cause you huge problems. Tip 5: Get regular drain cleaning services by your local trusty plumbing company. If you need help keeping your drains clean and clear, get professional help! Don’t result to something like Drano or baking soda and vinegar and hot water- call DrainMaster Ohio for a professional job well done. Call us today at (614) 698-1434 for your drain cleaning service! Top Eco-Friendly Plumber In Bexley? Here at DrainMaster, we offer one of the most environment-friendly processes to clean your pipes and make it work again. Unlike traditional sewer pipe repairs and replacements, we use trenchless technology. Instead of having to dig up long trenches and get heavy machinery that spouts smoke, we offer a no-dig solution for creating a new pipe within the old pipe. Excavation is a risky affair as some ground contaminants may come up from the ground or the sewer pipes. Trenchless technology doesn’t uproot the ecology, including plants and nearby trees as there’s virtually zero digging from start to finish. Landscape reconstruction is a thing of the past. Each step has a much lower carbon footprint as compared to conventional plumbing inspections and repairs. The fewer resources needed to complete a pipe repair the better it is for our earth. Pollution, waste and energy costs are all reduced. DrainMaster technicians conduct a thorough video camera inspection using a flexible fiber optic line that has a high-end CCTV camera attached at the end. Without ever digging, this contraption can reach any point of your sewer system. For cleaning, our professional technicians use a special nozzle attached to a hose for water jetting and power-washing purposes. Instead of damaging chemical cleaners or snakes and augers, we use the cleaning power of water to unclog your pipes and restore original flow. At DrainMaster, we use trenchless repair by inserting a felt liner coated with an epoxy resin into the ailing pipe. The epoxy is blown using hot air or water and sticks to the inside circumference of the old pipe, forming a new one in the process. Our technicians only need one or two small access points to complete the repair. What’s more, all the materials used are non-toxic and chemical resistant. When you need the most eco-friendly plumber in Bexley, Call DrainMaster. We’ll be there on time and ready to fix your plumbing issues. How Can I Tell if Roots Have Cracked the Clay Sewer Pipes in My Home in Westerville, Ohio? There’s nothing worse than realizing that the sewer system in your home is beginning to experience problems. The mess, hassle, and cost are enough to deter anyone, not to mention – how is it diagnosed? The necessarily out-of-sight aspect of most pipelines can translate to a very confusing and frustrating experience for the homeowner. A DrainMaster representative will get in touch with you shortly to answer any questions you may have about your plumbing problem, as well as set you up with an appointment if required.